An enviable position offering endless potential and a variety of versatile purposes, all within a stunning plot of approximately four acres… Beautifully positioned within a rural hamlet, the property offers scope for a variety of purposes whether it may be a project of grand designs or simply to enjoy the charm of which the property offers as it stands. The property resides to the front of the plot, a detached barn can be found to the side and offers a wealth of opportunity whether it may be as a holiday let, an additional residence or as a garage. All options would be subject to planning. Four acres of grassland lead from the rear of the property and could be suitable for equestrian or small holding purposes, equally those looking for land for some tranquillity are sure not to be disappointed. The house is thought to date back to the mid 1800's and has been extended over the years offering four bedrooms, an open plan kitchen dining room and sitting room over the two floors. 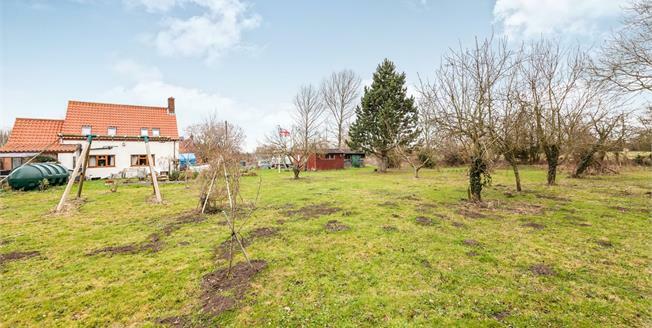 Set within approximately 4 acres of grassland. Detached barn ripe for conversion (stp). An ideal project with endless potential. Suitable for equestrian or small holding purposes.